Samsung and LG are to release their 3D-toting displays in March, just three months after announcing the TV sets to the world at CES 2010. 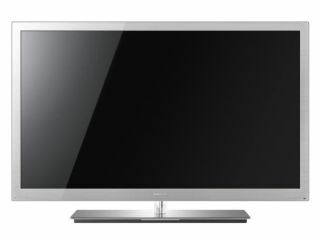 According to the Korean Times, both the LED 9000 series, which is Samsung's super-gorgeous 3D skinny range and the Infinia LE9500, LG's 3D range, are to be released in March – which should point to a summer UK release date for the TVs. "For some people it could be a good excuse to put their current HDTV in the bedroom and put the new 3D TV in the family room," said an LG Electronics representative, grasping somewhat at the reasons why someone would purchase a 3D TV. Yoon Boo-keun, Chief of Samsung's Visual Display Division, has predicted that Samsung will sell around 2 million 3D TVs this year. This is a revised number, however, with the company initially looking at the 2.6 million mark. LG is looking to sell 3.4 million TVs, according to LG Electronics' Chief Technology Officer (CTO) Paik Woo-hyun. If this does happen, it will make LG the biggest provider of 3D TVs. We're sure Panasonic, Sony and Samsung will have something to say about LG's 3D plans.